← Oh Noes! The Brat Is Out! What can you buy with $2.25 million dollars? Maybe a nice car so that when the trains are disrupted, you can sit back and relax and enjoy the scene of the minions struggling to get back home. Despite hundreds of millions of dollars worth of cash injection by the taxpayers, the SMRT still cannot get their act together. What’s next? More crying to the government for financial assistance because the system is so old that it needs an overhaul? Boo Hoo! The only thing overhauled is the CEO’s pay which at 2.25 million a year, is the highest ever. On Tuesday, both the NSL and the EWL were disrupted for three hours during the evening peak hours because of a traction power fault somewhere. Which goes to show that despite the hundreds of millions of dollars of taxpayers money, they still have not resolved the single-point-of-failure. Really? Don’t they have any redundancy? You mean to say that a loose screw somewhere in Bedok will affect the track in Kranji? 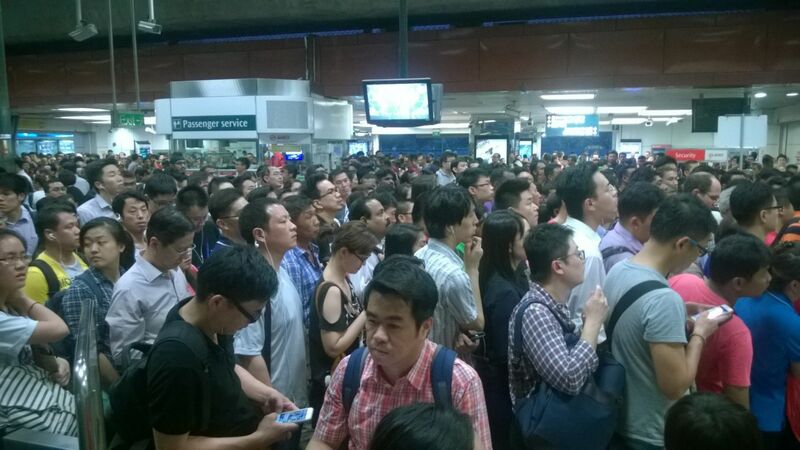 Can someone remind me why are we paying the SMRT the millions again? Oh that’s right. For the executive bonuses and dividends. The best part is that the LTA advised commuters to use other lines that were still operational such as the NEL and the CCL. Last I checked, Bedok is served by only one line. And that line was disrupted FFS! And don’t get me started about the free shuttle service. You think just because we are Singaporeans we are so hard-up about free things? That somehow or rather we will shut-up because the shuttle service is free? The service might be free but what service are you talking about? The buses were crowded and unreliable and by the time the train service was resumed, I still couldn’t board any buses. “I am extremely concerned with today’s incident”. Oh thank you for your concern sir! But your concern will never ever allow me to claim back the 3 hours of my life that is lost forever due to the incompetence of the SMRT management.